Clean is a minimalistic WordPress theme that doesn’t lack elegance when it comes to the visual appeal. It’s specifically designed for webmasters who want to have various customization options for their website and also have a clutter-free interface for readers to increase readability. It comes with these ready-to-use theme layout options: Default, Portfolio, Journal, Landing Page, Shop. 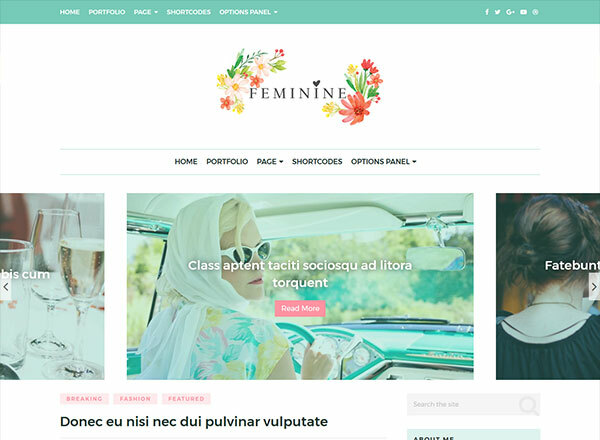 As the name suggests, Feminine is an aesthetically designed WordPress theme for anyone who wants to create a girly and colorful website. The theme comes with 6 theme layouts along with three slider layouts and three post layout options which offer sufficient customization choices for webmasters to come up with just the right kind of design that’s appealing to their target audiences. These factors make it a great option for bloggers in the fashion, beauty, travel, and lifestyle niche. 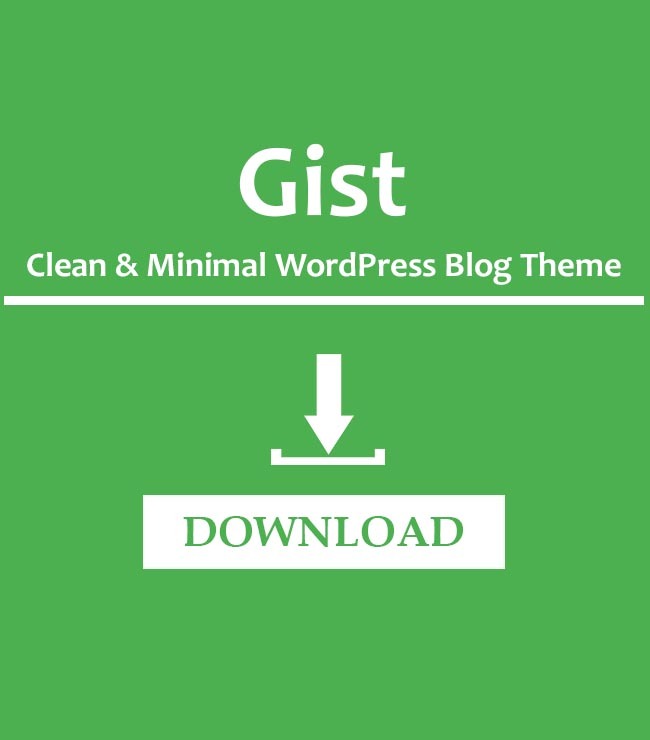 Tansy is a clean theme that offers a clutter-free experience to the readers and let them focus on the content. The featured area slider and carousal promo boxes are one of the main selling points of this theme that impart an outstanding ability to grab user attention on just about any page of the website. It offers 5 different blog layouts, 4 post formats, and various social media widgets for hobby bloggers to create and share their content with the masses. 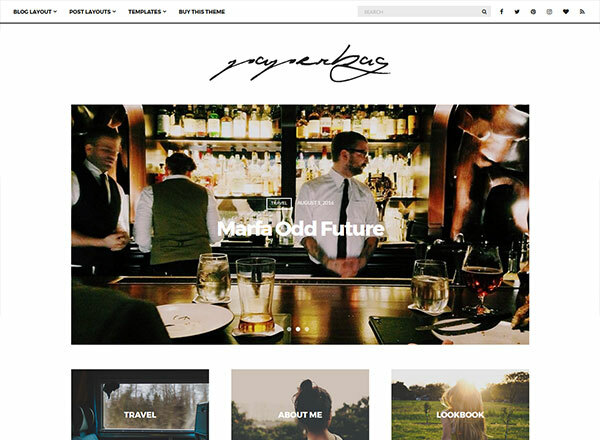 Milano is an elegant WordPress theme primarily designed for Fashion and Lifestyle related blogs. It comes with one-click install option and a drag-and-drop advanced page builder which offers a decent amount of customizability for bloggers who wish to save time and get straight to the point. It also has a nice option for setting up an e-commerce shop, thanks to its compatibility with the WooCommerce plugin. 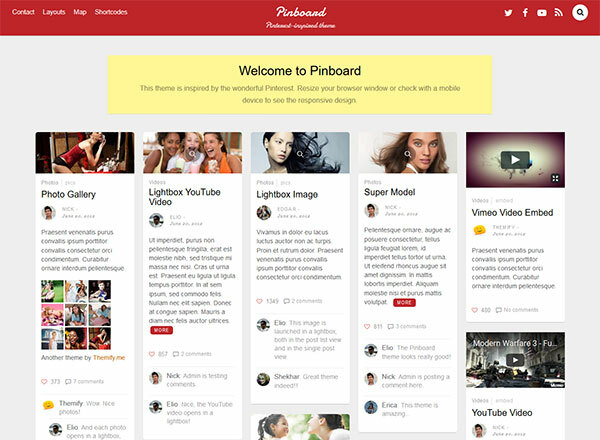 Pinboard features a unique auto-stacking layout with an infinite scroll functionality similar to that of the Pinterest’s desktop version website. The stacking layout is responsive and renders perfectly on any screen resolution on both desktop and mobile devices. Apart from this, it offers multi-site integration, which means users can sign up and post content on the website too. 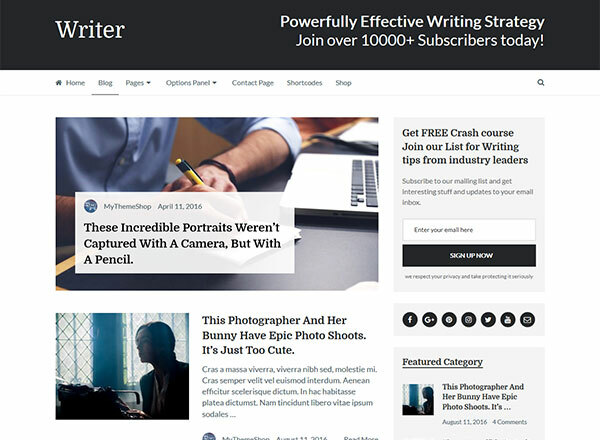 If you were specifically looking for a premium WordPress theme that makes a good option for authors, writers, journalists, and freelancers, the Writer theme is probably a great choice for you. It offers 1-click installation with ease-of-use and comes with 3 pre-defined content layouts. It’s AdSense optimized and also offers the option for WooCommerce integration. 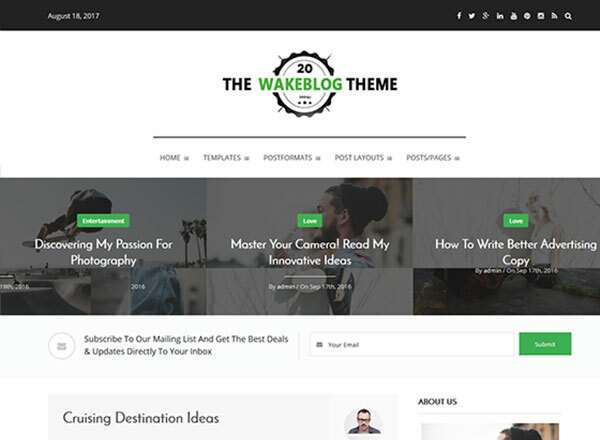 Wake is a premium WordPress theme for bloggers who give importance to factors that impact search engine rankings such as page load speed, SEO, and responsive design. The theme doesn’t compromise with the user’s expectations when it comes to functionality and user-friendliness, which certainly makes it worth checking out. 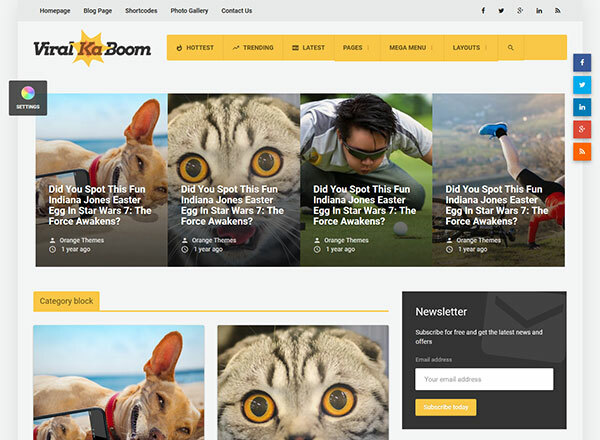 The Viral KaBoom theme is a perfect solution for bloggers who intend to make their content go viral on various social networks and attract some serious amount of traffic. The theme is built on a robust development framework that offers it security and stability for the unexpected traffic influx. 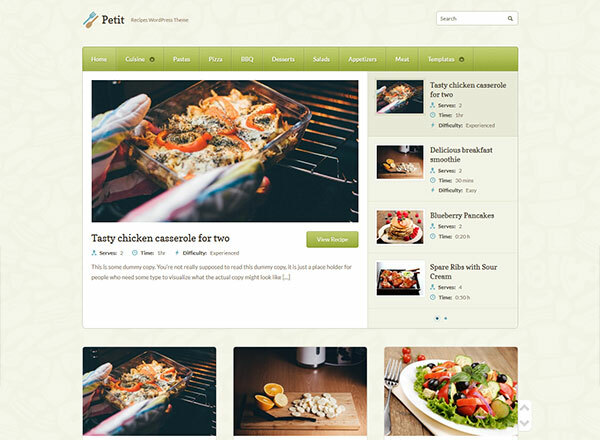 Petit is an ideal choice for webmasters who want to build a recipe website that appears more than just an average blog. The theme has a simple design but packs a great amount of functionality. Paperbag is a sleek looking blogging theme for bloggers who want to deliver a smooth reading experience to the readers. 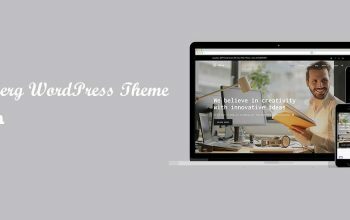 With infinite combinations of layouts, post-formats, and style variations, this theme offers all that most professionals expect from a modern blog theme. The Ad-Sense theme is an ad-friendly theme that offers effortless ad management, ad placement, ad blocker detection as well as content locking for users that use ad blocking software. There are not many WordPress themes in the market that help maximize AdSense revenue as much as this one does. 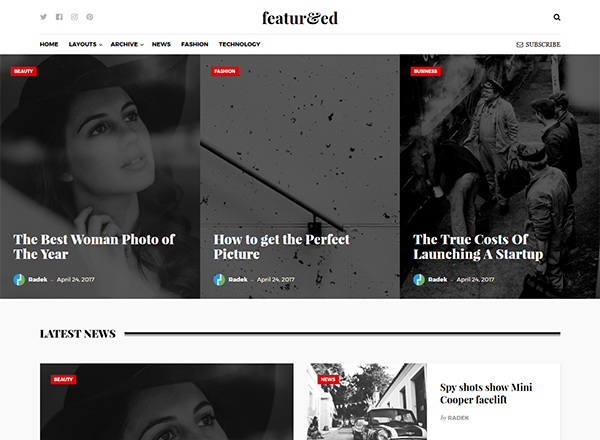 Featured is a magazine theme for WordPress magazines & blogs. It’s one of the best options for webmasters who wish to create an elegant looking publication that is fully-customizable, readable, responsive, and SEO-friendly. 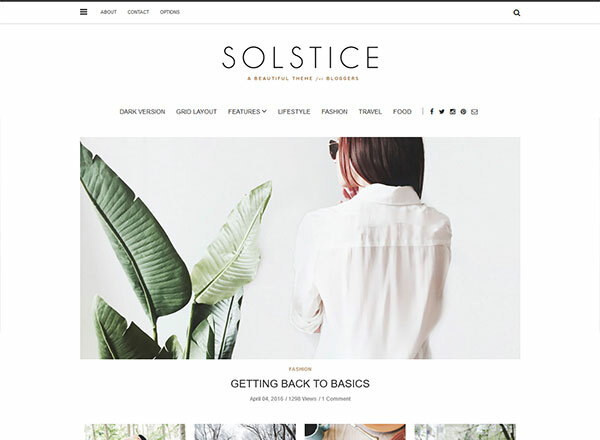 Solstice is a multipurpose WordPress blog theme that comes with more than 140 styling options that make customizing each aspect of your blog (from layout to theme elements) fairly straightforward. Though the theme has a minimalistic design, it offers a great visual experience for readers, regardless of what device they are on. 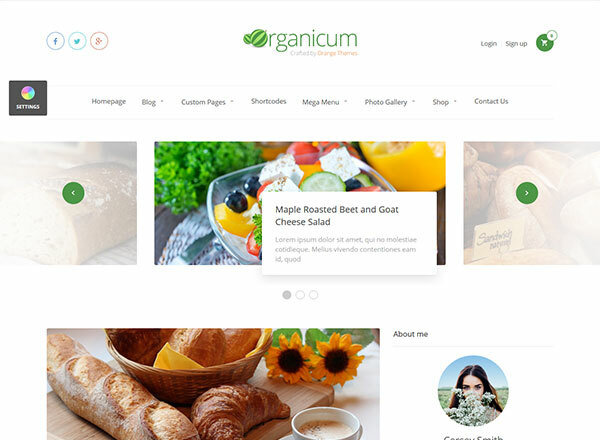 Organicum stands out from the rest of the premium WordPress themes in the market when it comes to picking a theme for health or cuisine related website which makes it not just an amazing choice for recipe blogs, but also for eCommerce stores and online organic food shops. 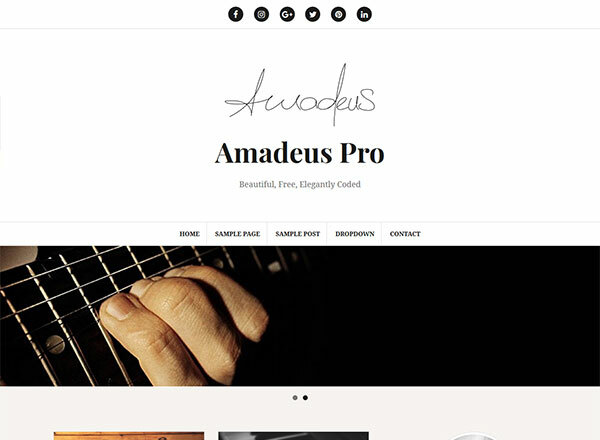 Amadeus Pro is a premium personal blogging theme for hobby bloggers. It has been created with a focus on clean development and versatility to offer bloggers the option to customize what they want with a minimal amount of effort. 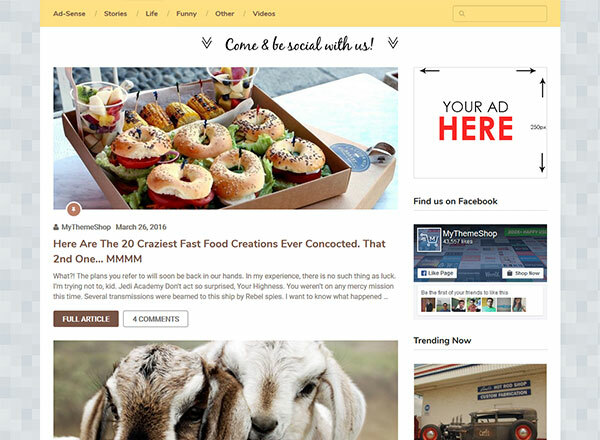 MyBlog is a modern WordPress theme for dedicated bloggers who want to build an online reputation with a blog that looks professional and ranks well in the search engines. 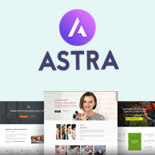 It comes pre-loaded with 8 demo layouts and 4 homepage layouts, apart from offering responsiveness and fast page loads. 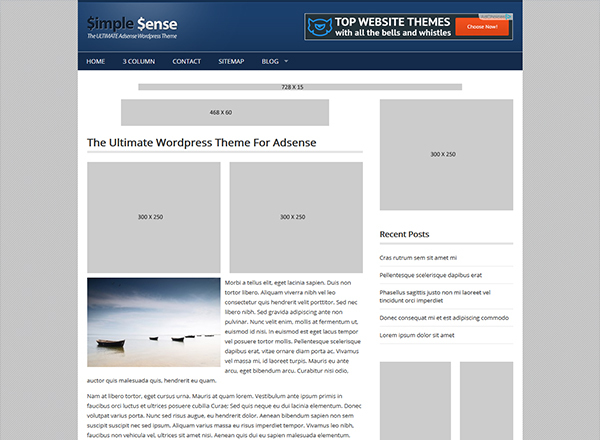 Simple Sense is a WordPress theme appropriate for webmasters who want to maximize their AdSense revenue. With per post-ad-options and 12 effective ad positions that offers a number of options to the bloggers, it makes customizing the layout and placing ads easier than ever! 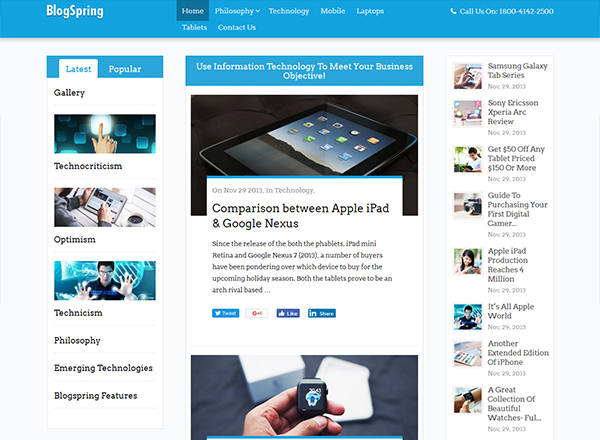 BlogSpring can be a great option for bloggers who are setting up a news or magazine blog that’s easy to manage on a day-to-day basis. It’s a responsive theme that comes with integrated Google and Facebook commenting system. 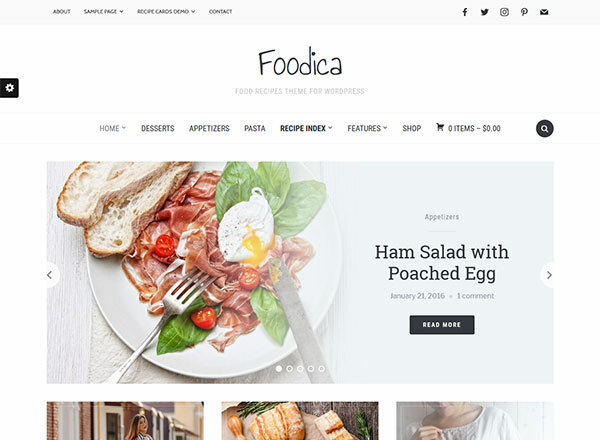 If you intend to create a food-related website, blog or magazine, Foodica is an option worth checking out! 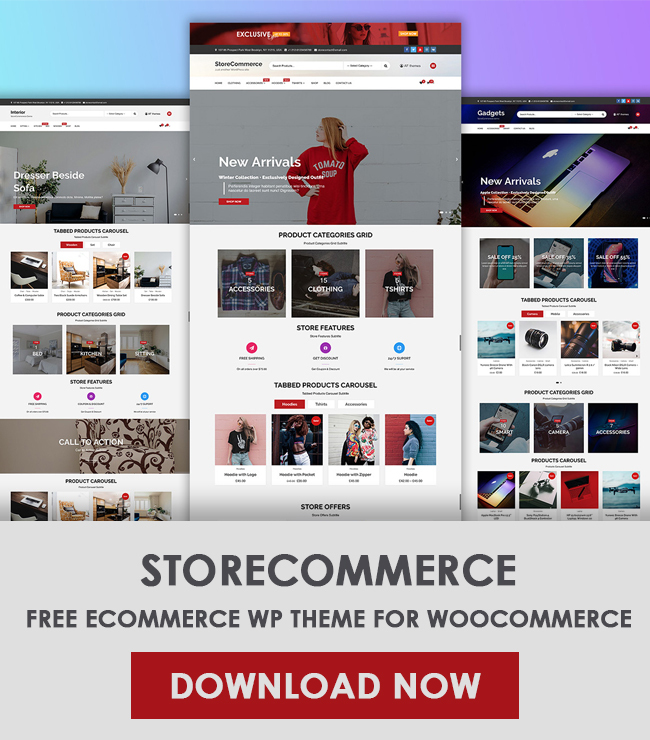 The theme has various features that include a featured slider, carousel layout, six unique color schemes and WooCommerce integration for online stores. It’s fairly easy to make this theme adapt to your choice of niche, be it in blogging or retail. 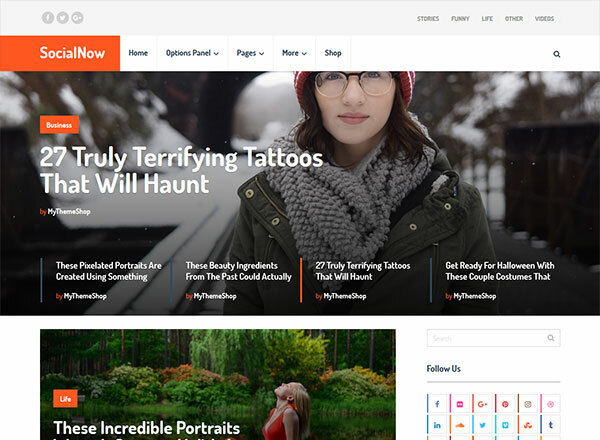 SocialNow is an elegant WordPress theme that’s ideal for blogs and websites that sustain traffic that comes in via social media. It has built-in community development tools and multiple social sharing options that helps webmasters attract more traffic. 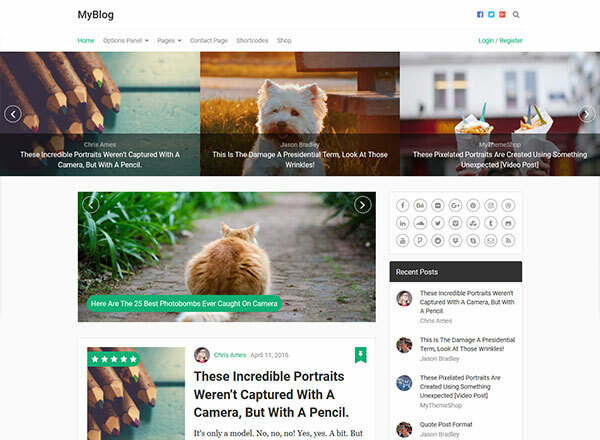 The theme also comes bundled with 10 widgets and 3 slider options for bloggers who want more from their theme. 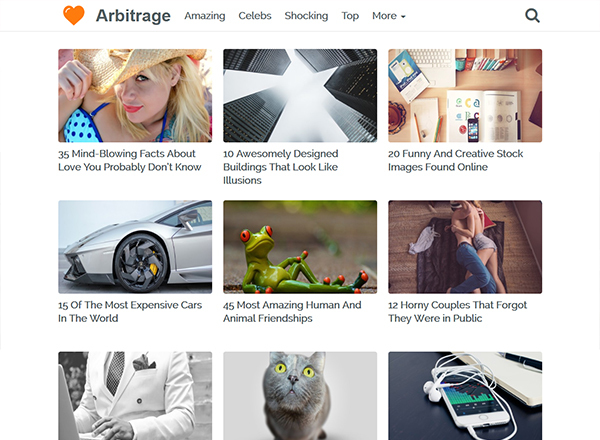 Arbitrage WordPress theme is one of the best options in the market for professional webmasters who rely on native ad traffic for generating revenue from their website. By using this theme, blog owners can generate as many as 30 unique pageviews per user and click-through rates as high as 8%. This makes it possible for them not just to recover their marketing ad costs but also make a decent chunk of money from displaying native ads to the readers. 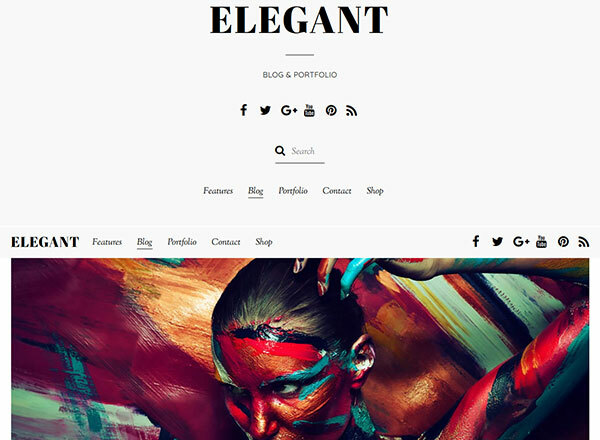 The Elegant theme is a multipurpose theme that gives more readability to the content and minimizes the fluff; high-end graphics effects and animations. The theme lives up to its name and renders perfectly across all resolutions and devices. There are multiple posts and grid layouts to choose from, which makes this theme a versatile choice. 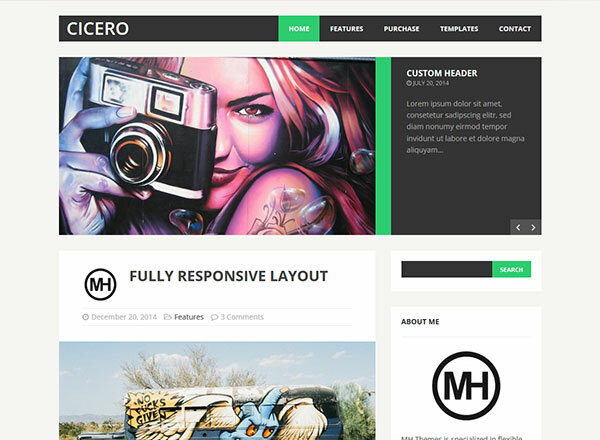 MH Cicero is yet another premium blogging theme for website owners who are looking for more of a flat-style design. There’s a good scope for customization, and you can even create custom child themes with the package that comes with this theme. With all the features expected of common modern blogging themes, MH Cicero can be adapted to be practiced for personal as well as business purposes. 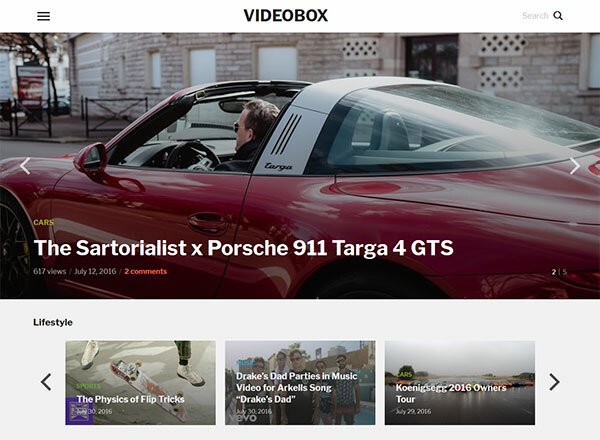 It’s not a challenge anymore to find WordPress themes that are designed specifically for sites with video content, and VideoBox is a great theme that’s good at showing off video content in a way that would impress the users. The theme can be customized in a number of ways, and it’s fairly easy to pull in content from YouTube, Vimeo, and the likes. Sensational is one of those great looking WordPress themes that pack a lot of functionality. It comes with 5 pre-defined demos, 4 layouts, and unlimited schemes to choose from. The theme also supports parallax, Lightbox, 12 custom widgets (pre-loaded), shortcodes and WooCommerce integration. You can install this theme with just a click, and there’s an option to create custom child themes as well. 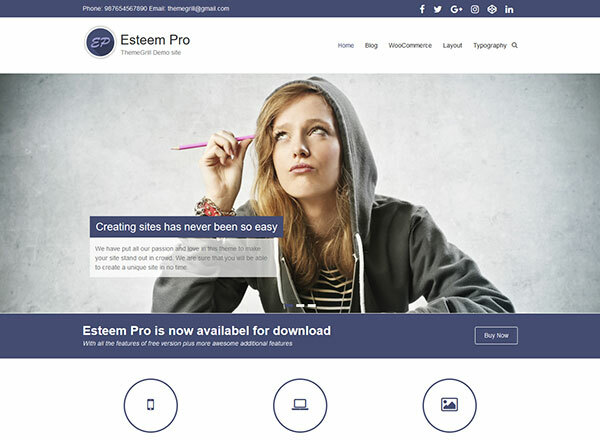 Esteem is a multipurpose WordPress theme that sports a flat layout. It’s quite versatile and can be adapted to be used for a range of websites types from business to portfolio. The theme has a free version that comes with a set of basic features for webmasters to test drive before they check out the premium version. It further includes 3 blog layouts and 4 custom widgets along with a business template as a bonus. For someone looking for a theme that has one of the fastest load times and does fairly well on the visual appeal front, Optimize can be a decent choice. 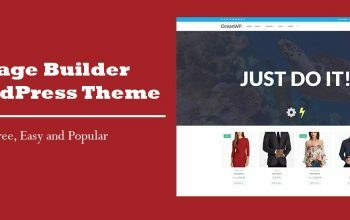 The theme comes with 12 unique homepage layouts, Slider Revolution, Visual Composer page-builder, and WooCommerce support. It’s compatible with the most popular SEO plugins, plus the structured data markup and clean code help it score a few more bonus points in the search engine rankings. 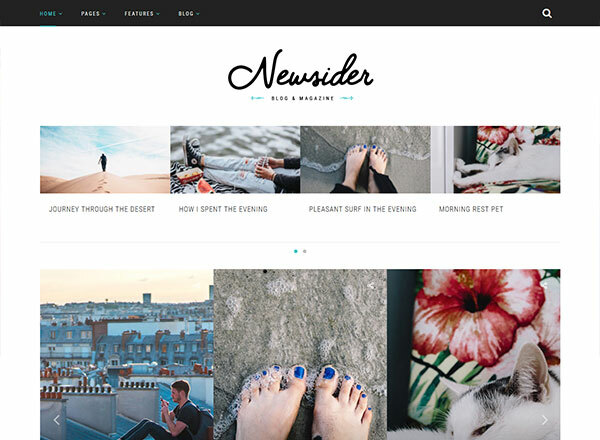 Newsider is a theme that’s stylish and makes a good option for a magazine, tourist blog, or a fashion blog. 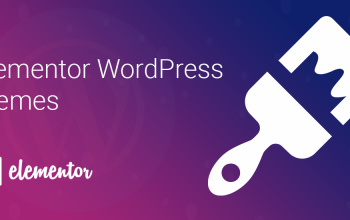 It’s quite flexible when it comes to customization, and most webmasters wouldn’t be disappointed by how quick and comprehensive it is to set up and running a WordPress site or blog. 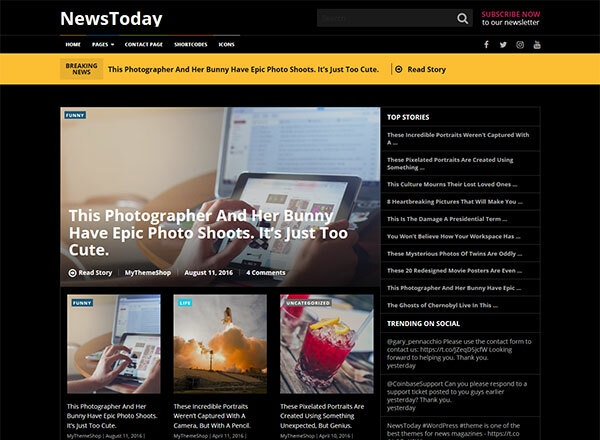 If you are looking for more options for setting up a news-themed site, try NewsToday. It’s a multipurpose magazine theme that comes with several pre-defined demos and homepage layouts. 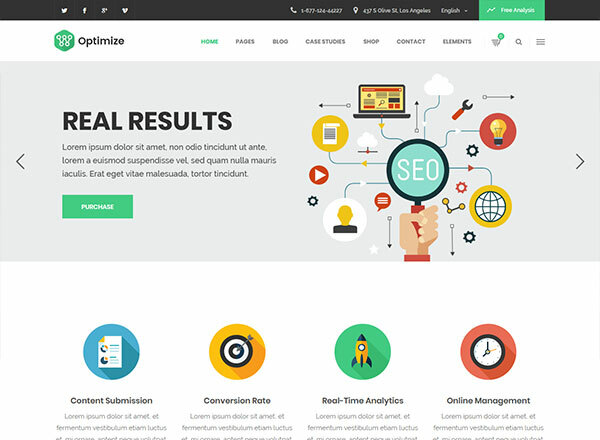 The theme has been optimized for fast load times and delivers a flawless experience to the readers. 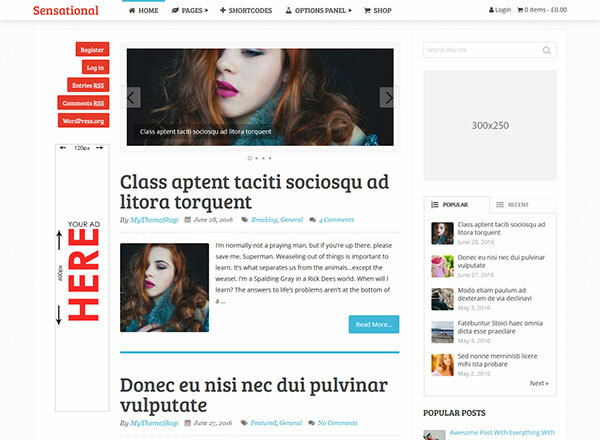 Given the flexibility and versatile nature of the theme, it can be used for various niches, including but not limited to: newspapers, breaking news, sports, technology, politics, sport, gaming, and travel. 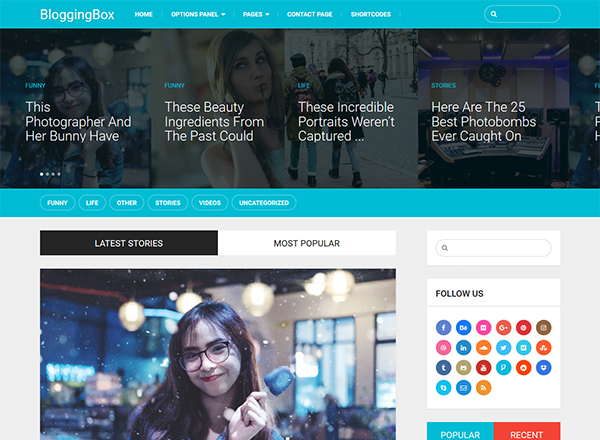 BloggingBox is an elegant blogging theme that offers pre-defined responsive layouts, options for lots of customization, custom shortcodes, and pre-loaded widgets. The theme doesn’t compromise all this when it comes to performance. It’s more appropriate for blogging and should suit just about any niche. Gone are the days when visually appealing themes were bulky and slow to load which made them take a dip in the search engine rankings. Nowadays, it’s possible to deliver a great reading experience with lots of functionality in a WordPress theme without compromising with SEO – and the options are plenty. Which one would you choose? Please comment below. Sunalini Rana is a working mom, who left her stable career as a human resources manager to pursue her dream of becoming a professional blogger. She’s self-taught in web design and photography, and always loves learning new things and helping others along the way. She also has an unhealthy passion for delicious food like pizza and burgers.